COMES FULLY ASSEMBLED for instant fun. 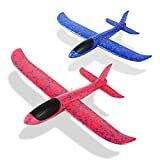 Encourages outdoor, electronics-free play! Provides hours of entertainment for both kids and adults. EXTRA LARGE 40 INCH DIAMETER fits four children or two adults and 600 lb weight capacity allows multiple people to swing and play at the same time! 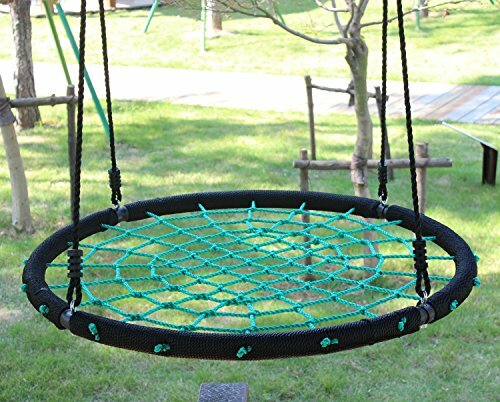 QUICK & EASY TO INSTALL - Comes fully assembled and includes simple instructions so you can attach this spider web swing to your tree or swing set in minutes! Includes 2 carabiners. Requires hanging kit. EASY STORAGE: this incredible outdoor tree swing folds in four and is super easy to store. Perfect swings for outdoor, backyard or porch. - Comes fully assembled, saving you time and hassle. - Rope length is adjustable to fit your tree or backyard swing set. - From the playroom to the backyard, the spinner swing is a fun addition to your indoor/outdoor space. - Easy to set up, take down, or re-locate. Spinner swings are a perfect gift for kids, grandchildren, and friends!